Quantify statistical significance of individual differences between adjusted CVs. We permuted the wells labels across samples for 10,000 times. 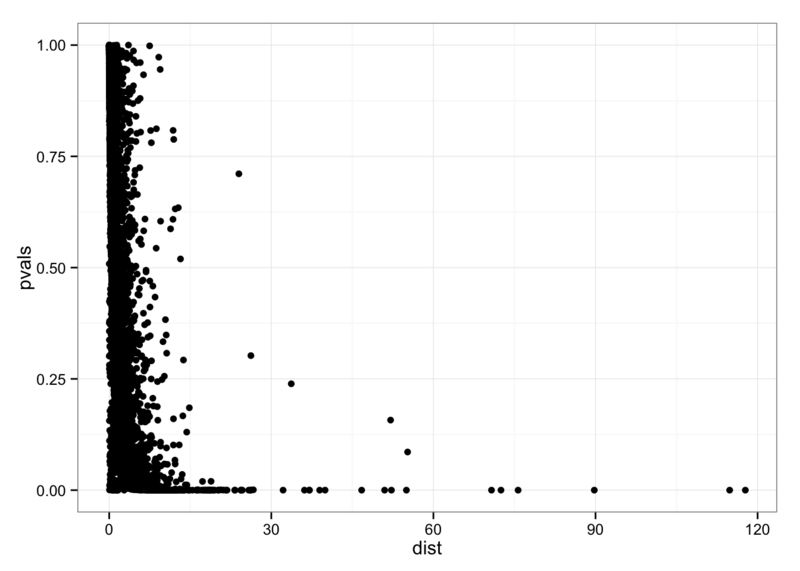 Then, for each gene, we computed the number of permuted samples produced larger distance than the observed distance between standardized coefficients of variance between individuals. Individual CV vectors are standarized for individual CV mean and coefficients of variation across genes. Compute metrics for quantifying similarity between the three individual coefficients of variation. Compute permuted distances for each gene. Compute permutation-based p-values for each gene. 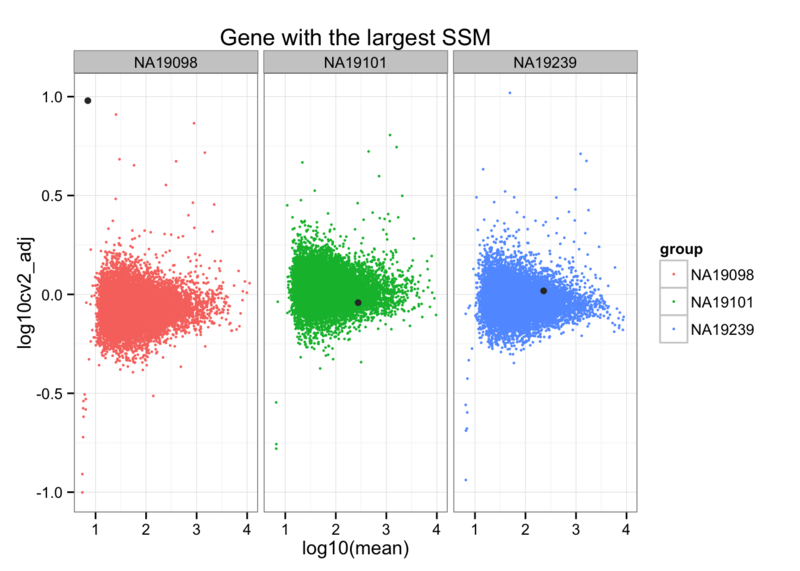 Confirm that the gene with the larger SSM and SAM are significant with a p-value of 0. Gene with the largest Sum-of-Squared-Deviations.